Is work-life balance for moms really a myth? Working moms are some of the busiest people I know. Balancing work, career, spouse, kids, home, self-care…whew! I’m tired just thinking about that! There’s a lot of buzz out there about work-life balance for moms. There are tons of tips on how to strike the perfect work-life balance for moms … BUT. I’m personally inclined to believe that work-life balance is a myth. Is it possible to have the perfect balance between work and personal life? If so, how many days per week? How many months per year? 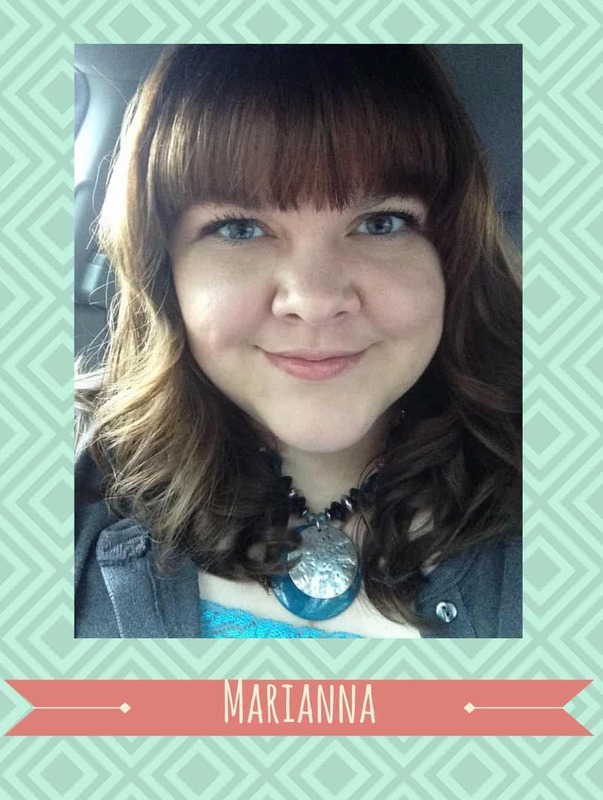 If you look at my responsibilities, you’ll see that I’m a clinical social worker, a blogger, an author, a podcaster, a wife, and a homeschooling mom of three. I also teach bloggers how to get more traffic to their sites in my “spare” time. But the truth is, even though I’m really busy doing all those things, I don’t do all those things at once. Some days, I’m laying on the couch binge-watching Netflix. Other days, I stay up all night, working 12 hours straight to complete a project. Occasionally I spend all day cooking organic meals with my kids and spending quality time with them, doing crafts and making memories. Once in a while, my house is clean (for like five seconds). Every day isn’t the same. Work-wise, nor home-wise. I used to strive for the perfect work-life balance. But what does that even look like? 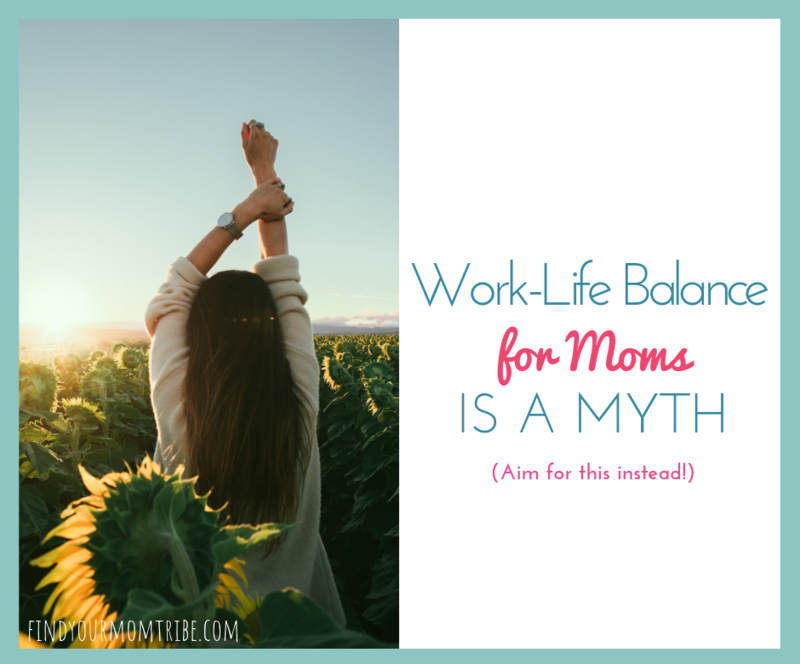 I think for a lot of moms, work-life balance means spending equal amounts of time on both our work and our personal life. But is that even realistic? Recently, I was working on a really big project. I had to meet a certain deadline. It meant lots of filming, photo shoots, writing, graphic design, phone meetings…this project was taking over my life. My oldest daughter asked me to do something with her and I told her I couldn’t. It stung. I felt guilty. I needed to hear it. I was so engrossed in my work that I was neglecting the most important thing. But the thing is, sometimes in life, things happen. We have kids who are going through a phase and they need more of our attention. We have business opportunities or projects that take up more of our time than usual. Life throws us a curve ball. And if we’re striving for work-life balance as moms, I believe that sets us up for failure. Perceiving ourselves as failures at work-life balance only produces more mom guilt than we already carry. So what’s the solution to this work-life balance problem? Recently I listened to a podcast where the host was discussing the myth of work-life balance. She said instead of striving for work-life balance, we should instead strive for harmony. Harmony gives you permission to have ebbs and flows. With harmony, there’s an understanding that sometimes the scales will be tilted one way or another. On the other hand, striving for balance may lead to feeling overwhelmed, frustrated, and guilty. Striving for harmony in your life means that you are fulfilled both at work and at home — with no set limits on time spent at either place. Some days your life will be more work-focused. Other days your life will be more home-focused. What’s your take on this? Is being a working mom hard enough without the added pressure to achieve the perfect work-life balance? What do you think about aiming for harmony instead? Did this post resonate with you? Don’t forget to save it for later!